Yes it has been a long time since I’ve written one of these. I’m as surprised as you are to find me here. I hope it’s a pleasant one…for you. It most assuredly is for me. So why so long? No real answer to that question. I’m very good at putting things off. God knows there’s a solo album sitting half finished on top of a number of other projects for me to chase down. With the new year comes that nagging sensation to get back in the gym. Get back on the diet. Get back to this and that. Perhaps getting back on the keyboard is just as likely. So here I am without a clue how to start but to look back. I’m not much of a look backer. Or a back looker. I don’t think either of those are common phrases. Not even uncommon phrases. From my current vantage point the past couple of years seem foggy and blurry with so many miles traveled and so much ground covered both physically and otherwise. On New Years day 2016 we went our separate ways and rarely looked back. It serves little purpose to look back when the path only leads forward. I immediately released a solo album, TKO, which was, in fact, a completion to my 2004 album, Go Time! which was truly rewarding. In fact so many things occurred in 2016 and 2017 that I get confused on how, when and it what order they occurred. 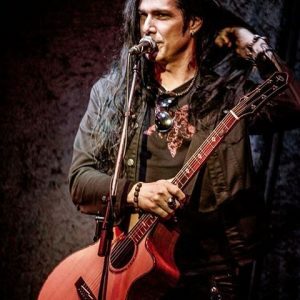 I did a solo acoustic tour around the US and Canada that put me on stage for the first time as a solo artist in places like Nashville and New York City. I headlined the Viper Room in LA for my birthday. I love solo shows. I will never stop doing them. My 90s Canadian band The Age Of Electric reunited to support the 20th anniversary rerlease of our 1997 Make A Pest A Pet album. Subsequently we released an accompanying EP called The Pretty EP which was meant to be the sister release of 1993’s The Ugly EP. My brother, Brent Fitz and I along with our dear friends, Cory Churko and Shane Gaalaas released a loving tribute to our Canadian roots under the name Toque. What started off as a project of sheer joy grew into touring and further recordings and releases. It continues to this day with new releases to come very soon. I was blessed to be able to bring to life both a bass and a guitar with my friends at Prestige Guitars in Vancouver. I am currently playing my Anti-Star bass on the road right now. Most importantly the 6 string electric guitar version, the Anti-Star VI, not only garnered a ‘Best Of NAMM’ from Guitar World Magazine but went on to win a platinum award from that very publication. I could not be more proud of that. For a kid who drooled over the guitars in that magazine as a kid there is no bigger thrill to have achieved such a thing. I put together a group of dear friends and musicians I greatly admire to play my music since I was very much enjoying being back in my not so newfound home of Las Vegas. We called it Todd Dammit And The Anti-Stars and it is some of the most fun I have ever had on stage in my life. I have the greatest love and respect for my Anti-Stars. They are the cream of the Las Vegas crop. Can you believe I’ve been living in Vegas for 12 years? It’s hard for me to imagine sometimes. Time has a way of getting past you. Grab it! Make the most of it. I found time to reunite with my brothers from the Original Sin City Sinners, a band we formed in Vegas for fun in 2007 that went on to be a beloved mainstay. We have always remained the closest of friends and supporters of one another and it was only a matter of time that we got back on stage together. This will continue well into the future. As long as there is love there will always be music. Brent Fitz and I have had the great pleasure to perform on not one but two KISS Kruises. The first in 2017 with both Bruce and Bob Kulick. The second in 2018 with the Bruce Kulick band which is so damned good that we are gonna keep it going. Not sure exactly where to go from here but mark my words you’ll be hearing from us. Truly an amazing band with so much untapped potential. You wait and see! The biggest blessing of all was to be honored with my very own star on the BC Walk of Fame on Granville Street in Vancouver, Canada. It is impossible to express what that means to me. That it will remain on that street maybe even after I’m gone. Vancouver means the world to me. It is where I truly found myself as an artist. My children were born there. My parents retired there. That star really means the world to me. It was the most amazing closure to my time away from being a Conspirator. And the rest of my Conspirator brethren? Well, the one in the top hat went around the world a couple of times in one of the highest grossing tours of all time. Like-ALL TIME! For real. The singer went from touring with SMKC to a highly successful Alter Bridge album and world tour to a highly successful solo album and tour. The guy can do no wrong. His life is a series of green lights. He is a wonder to behold and a constant inspiration. Fitz played with the Gene Simmons band which I will never stop being jealous of. He toured with Brad Whitford of Aerosmith in Whitford/St. Holmes. Fitz is world class. It shows in the company he keeps. Frank put together my favorite R&B band in Vegas called Royal Electric which featured a 10 piece band. Lead vocals, 2 guitars, bass, keys, drums, horns, background singers. It was a spectacle of sight and sound. Not to mention things that Frank has been cooking up that have yet to be unveiled. I’ve said it before and I’ll say it again, Frank is the one to keep an eye on. Remember that I said that. So how did Slash, Myles, Fitz, Frankie and I possibly find time to put 2018’s Living The Dream together? Easy. It was a priority. When you make something a priority wonders never cease what can be accomplished. There may have been a time where one might have thought it could never happen but in my experience anything is possible. So now here I sit in a far away land after the most successful US tour we have ever done and now currently on the most successful Asian tour we’ve ever done. None of us knew what to expect. Surely we had been forgotten. Surely we’d be starting from scratch. Neither of which proved to be true. We have the most incredible support system all around the world. Life is a river, brothers and sisters. It just keeps flowing. Follow the waves. There will be bumpy rapids along the way to be sure but it will take you where it wants. I think it best to make plans but keep your plans malleable. Life has a way of throwing changes at you. Jazz changes, too. Like, not always easy to jam with. Sometimes life is 12 bar blues, sometimes its jungle jazz and you gotta just jam along. SMKC will be out for a long time yet but there will come a day where we will put this monster on ice again and we will all go off in separate directions to do wonderful things. Then if the mood should strike us we will find the time to make it a priority again. In the meantime there are folks in Beijing that require some rocking tomorrow night. Then Shanghai and on and on and on and on. May the road never end. May the show never stop. May the song never fade. May the string never break. May the voice never crack. I missed you. It’s good to be back. Thank you for bringing the blog back! Great read Todd! Great to see you back. 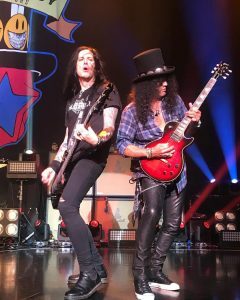 Saw SMKC a few months back at Mohegan Sun and you guys were great. I’m hoping you bring some of your additional projects to Boston! Yeah! Keep rockin’ Todd!!! See you soon in Argentina!!!! You deserve all the good thing in this life!!! Big love!! Fantastic! Can’t wait to see you in the UK! Thanks for the look at what you’ve been up to Todd. 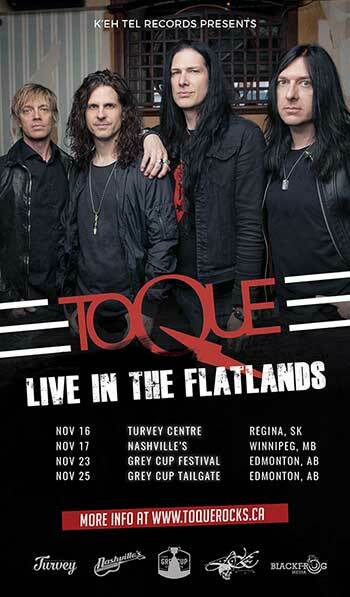 I am eagerly awaiting the new Toque CD as I grew up in Saskatoon and love all those artists (and I think I saw you with AOE about 30 times at Ryly’s back in the 90’s)!!! Thanks for never stopping the rock!!! I missed reading these stories. I applaud the resurrection of the Dammit Blog. Truly, many Thanks. I’ve missed your blogs so much. Thank you for bringing them back! I’ve missed your blogs so much! Thank you for bringing them back. you know what, swim with the one’s deep..swim with the one’s high…Do what you do with passion, this is why so many people have respect for you Dammit! I love your blog! So entertaining and informative, and I always read it in your voice. Hope to see you back in Michigan soon. So happy you are back to your blog! Always enjoy reading what you have to say. Enjoy the whirlwind! Excellent recap and thanks for sharing. Enjoy the ride indeed! My priority right now is to pray the gods of booking to add a gig ‘o yours next to me. Always love your blogs TK! Hopefully you have them all saved to publish some day! i can’t count the times I’ve seen all of you together or in your separate endeavors but it will never end!!! Peace, Love, Rock N Roll! See you on the road! Great to read and so forward to welcoming you guys to Tauranga in just a couple of days. My kids first gig too!!! Keep rocking. Yay so missed your musings, great to have you back. Has the wandering jar of mayo found its return to Frank this tour or did it finally find a pantry to settle in? Safe travels to NZ. Catch you on the Kiwi road trip, looking forward to Friday & Saturday – here we come – two more sleeps …..
Great read as always – see you in Glasgow and a couple of other places on the tour .  Great to read your blogs again! Looking forward to seeing SMKC in Glasgow next month! It’s nice to see you writing again, it was always nice to read some background tales from you. I’m really glad SMKC works so well, with all my love for GNR I couldn’t wait to see you guys live again. Great to have you back! Excited to be seeing you this summer! Next Todd & Brent Fitz on GSVA Radio Podcast!